Berkshire singer-songwriter Mary Verdi is a lifelong musician who started performing at age 3. 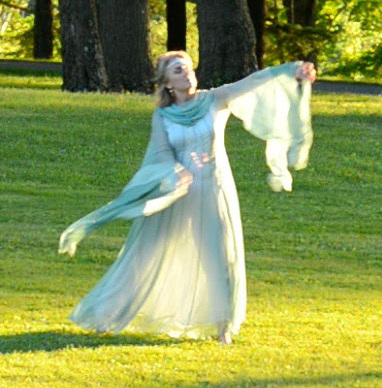 Today, she continues to create music crossing the genres of sacred music, pop and country. In that heart vein, the full-length album was released back in February, on Valentine’s Day weekend, in the peaceful studio sanctuary of Berkshire Yoga Dance & Fitness in downtown Pittsfield, Mass. 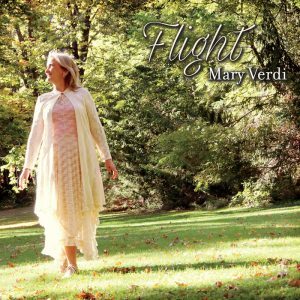 Verdi will be joined by Eileen Markland (violin/viola), and percussionist John Marshall, on a national “Flight” tour through the United States and Canada. Both Markland and Marshall helped record music for the album, along with Ron De la Vega on upright bass and cello. Marshall’s percussion instruments and tempos in particular help the dynamics and tone shift, as his influences include the global drumming traditions spanning from the Middle East to India, to Egypt, West Africa, the Caribbean, and Central Asia. His accompaniment is particularly resonant on tracks like, “Shante” and “Om Mani Padme Hum,” with Markland and De la Vega blending their classical strings in harmoniously with Verdi’s piano and vocals. Overall, “Flight,” is the kind of album to take with you when you need reflective moments in navigating the journey of life. It can serve as a soundtrack to a meditation or yoga practice, as much as it can to a special time with a loved one or a soothing warm bath. “Flight” can lift you up when the world beats you down.